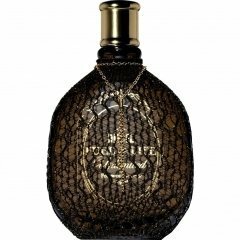 Fuel for Life Unlimited is a perfume by Diesel for women and was released in 2008. The scent is floral-spicy. It was last marketed by L'Oréal. ...for on the graves they are in vain. This motto comes to mind while I am lovingly planting the grave bowl for my ma with multicoloured carnations and deep blue asters. She herself was a busy garden fairy, blessed with a green thumb - and I want to emulate her, not disappoint her. But she'll like the shell, and she'll appreciate that I plant it myself. However, more flowers in life would not have hurt. But we surprised each other with scents. Tomorrow is the anniversary of her death - a bitter date - before which I am afraid. But I want to brighten and beautify the dark day. Especially for that I wear one of her favorite fragrances. She always had a bottle of it in reserve. Fuel has a joyful statement - funny and sparkling through the lemon, and aquatic through the mandarin. Aloe vera appears milky green, and flows over the skin. The jasmine shines, but looks calm - and licorice always liked mummy to have a nibble. Then the fragrance becomes more serious through tuberose and experiences sentiment through the lily. This twist fits the occasion - and my feeling. Fuel for Life actually has something to do with life. Sweet, bitter and bitter - close together. Diesel Fuel for Life Unlimited turns out to be a very odd concoction on my skin. The opening is orangey on me, zesty and fresh. Actually quite pleasant. The scent is very feminine and rich. However, around 5 minutes later, I begin to smell like my boyfriend, a heavy smoker. I kid you not, I smell exactly like smokey tobacco. My guess is that the star anise and licorice don't blend too well with my chemistry, creating this strange smokey scent, which I do in an odd way find rather likable. The smokiness doesn't last long and neither does the orangey quality. Towards the drydown the scent becomes slightly soapy and clean with a slight touch of bergamot. Despite the strange reaction I had with this fragrance, I much prefer this Unlimited version over the original which I found way too sweet and synthetic. The lasting power is quite good and the sillage pretty average but pleasant. Overall, an interesting fragrance and quite possibly a totally different smell on the right skin chemistry. Write the first Review for Fuel for Life Unlimited!